Need Your Locks Rekeyed? 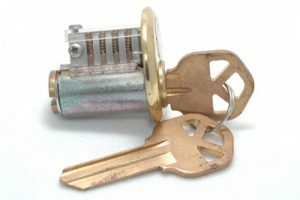 We Offer Quick & Pro Rekey Locks Service! Our professional locksmiths provide complete range of locks rekey service for residential and commercial locks. Call Tucson Locksmith 24 for FAST and Professional Tucson AZ Rekey Services! When you need a professional locksmith for rekey service in Tucson AZ, call Tucson Locksmith 24 for fast and professional Tucson locks rekey services. Our Tucson rekey locks professionals have years of experience with all types of locks and can get the job done quickly and efficiently. Locks Rekeying is a quick and affordable way to increase your security, the rekey locks process is to change the pins inside the lock and match the new set of pins to new key. You can count on Tucson Locksmith 24 to be at your location in 25 minutes. We’ll take care of any rekeying project for your home, business, or vehicle, and we always offer the best rates in the area! 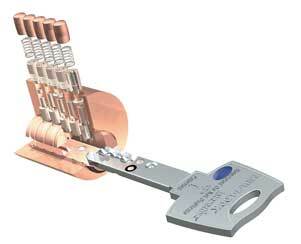 Our skilled technicians have years of experience rekey all types of locks and creating new master key system. Many homeowners and business owners need to have locks rekeyed when they find out someone has unauthorized access to their building or they have lost their keys, or want to improve the security of their property. Another good reason to rekey your locks it's when you have few separate keys for your locks , you can match all your locks to the same key. When the lock rekey process done the old key is no longer working, that way you can control on who have access to your property. Our Tucson rekey specialists available 24 hours a day, 7 days a week and always provides a high level of customer service. Our rekeying professionals use advanced tools and equipment to ensure the new keys will work smoothly and the locks are safe and secure. If you’re worried that someone who shouldn’t have keys to your home or business has unauthorized access, you need to talk to a rekeying professional immediately! Tucson Locksmith 24 will be at your location within 25 minutes and we’re available 24/7 for your convenience. We can come to your location to rekey all the locks quickly and efficiently, and will make sure the new keys are working properly before we leave. We’re here to provide a high level of workmanship and ensure complete customer satisfaction!